The mood here in Kansas City is hopeful, but that spirit isn’t coming from Brewers fans, all of whom I’ve encountered over the last 24 hours have looked sullen. Despite our mutual affiliation, I have avoided looking them in the eye for the better part of a day, and particularly after last night’s extra-innings affair. Kansas City fans are not just hopeful because the Royals are on the verge of a sweep of the Brewers. Everywhere – on the radio, in the stands, in restaurants – the people wonder: might Zack Greinke return to the Royals? Headlines like this only add fuel to the fire. There are a few notions contributing to this idea. First, Greinke has not sold his condo in downtown Kansas City. Second, Greinke has nothing but kind words for the fans. And finally, the Royals appear to be a better team than they were when Greinke demanded his trade from Kansas City. Greinke was like a surgeon on Tuesday, slicing away each vital organ giving life to the idea that he might one day return to Kansas City. The condo was the couple’s first home and still loved by his wife. 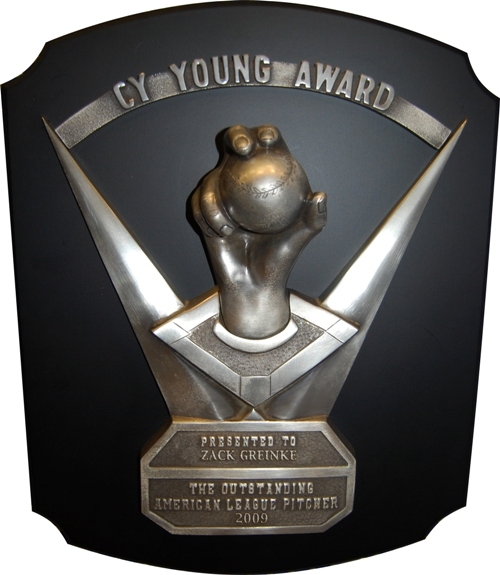 Greinke was impressed by the fan support (so were the Royals, with an estimated 8,000 attendance boost to watch the former Cy Young winner pitch), particularly since he had to play the “bad guy” to force a trade. But since Greinke asked for the trade in order to play for a contender, have they become any better? “No,” was Greinke’s answer. The Royals just rearranged the deck chairs on the Titanic. Thing is, Brewers fans aren’t much different. There is still a lot of hope from a fan base that should probably realize that some large-market team is going to throw a heap of money at Greinke. We’ve been through this once before with C.C. Sabathia, whom the Yankees wanted so badly that they bid against themselves to get him. Greinke probably isn’t going to be a fit for the Yankees; word is that some of the large-market franchises are steering clear of his anxiety problems. But actions speak louder than words, and Greinke is talking pretty loudly these days with a 2.96 ERA and the best K/BB ratio of his career – including his Cy Young year. That’ll generate interest from a lot of suitors – many with much more cash than the Royals or Brewers. This entry was posted in News and tagged Kansas City Royals, Milwaukee Brewers, Zack Greinke. Bookmark the permalink.